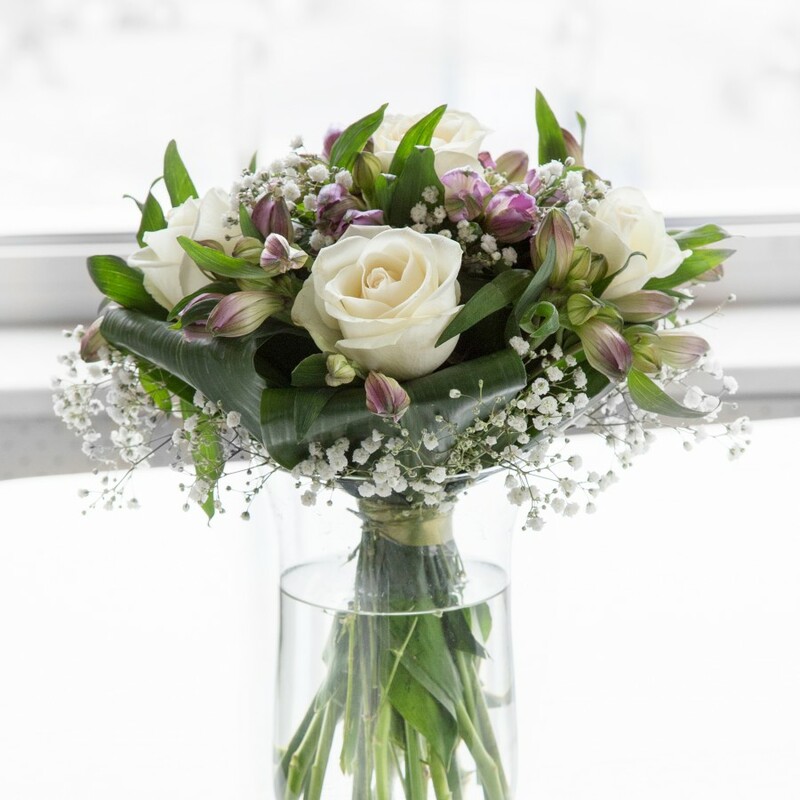 Purity and simplicity is the best description for this hand-tied. 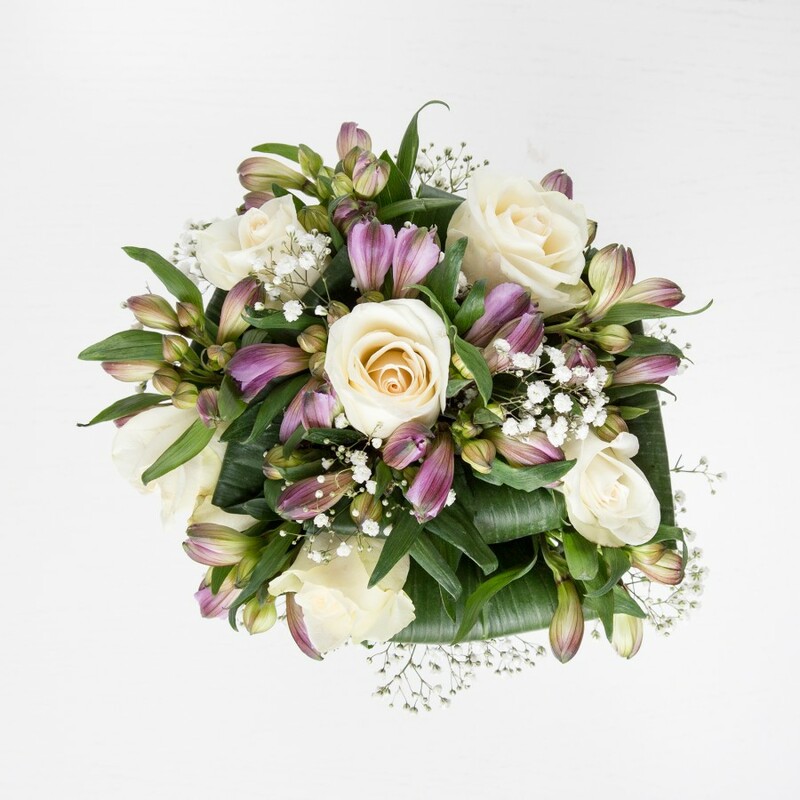 Cream ivory roses and royal purple alstroemeria, accompanied with white gypsophila and aspidistra leaves will make your loved one feel very special. Trustworthy florist, I'm pretty impressed with the bouquet! The bouquet was amazing - fresh and long-lasting. 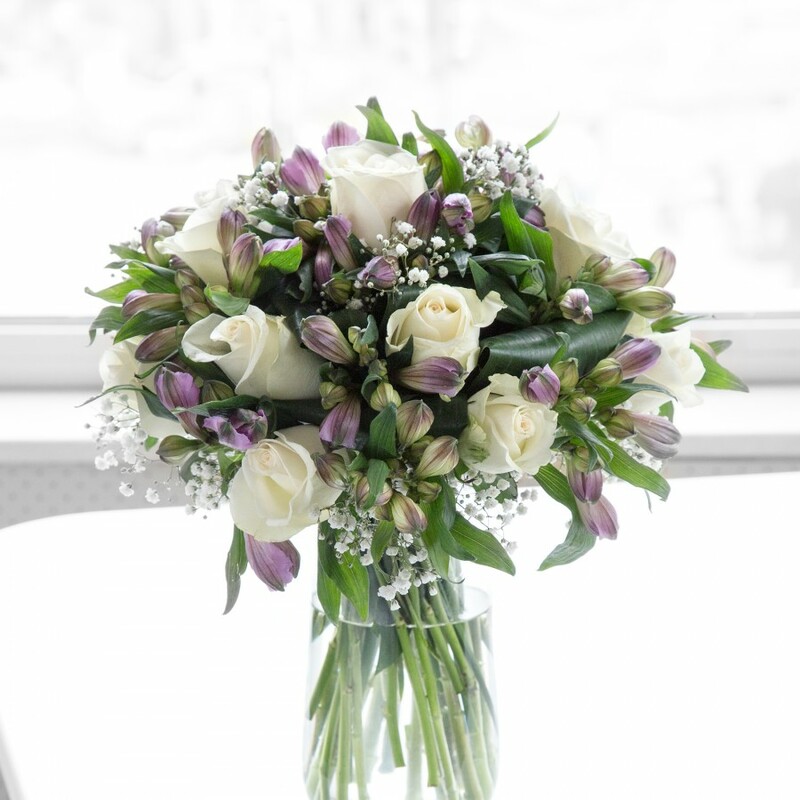 I sent a bouquet of flowers and a vase to my best friend in Manchester. They both were delivered in excellent condition so I really recommend this florist. The flowers are very pretty. Good florist! Ordered a large bouquet for my wife’s birthday. They delivered it promptly and it looked amazing! 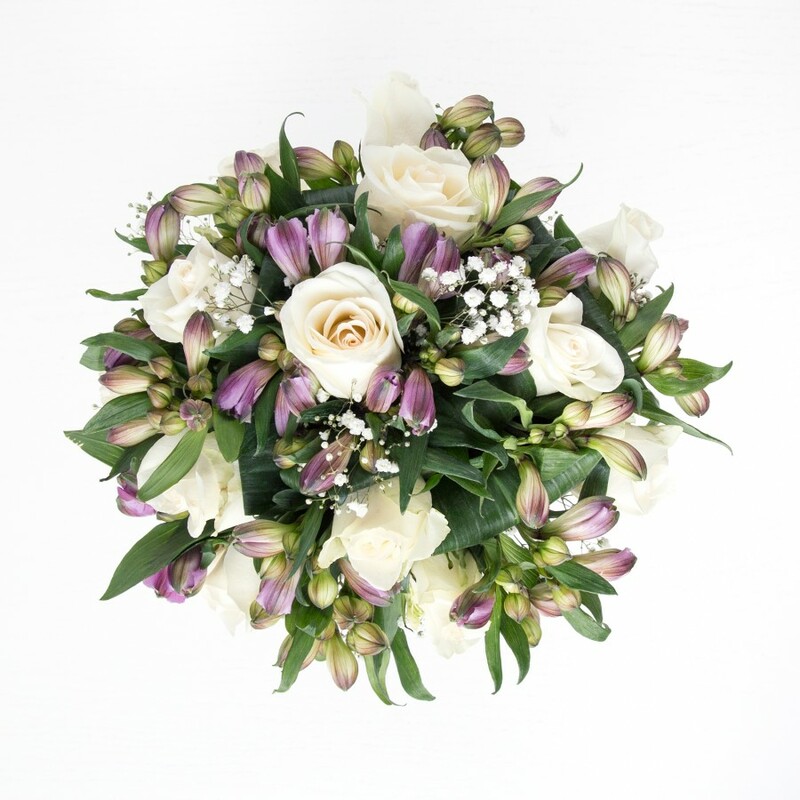 The flowers they delivered all looked delightful, the sweet fragrance of the bouquet was striking! Sensational flowers! They had same day delivery available too, and that was really helpful. Thanks for saving the day! Won’t hesitate in using Handy Flowers again. Really impressive staff, services, deliveries and flowers…why would I go anywhere else? Always been pleased with what we receive and will continue to use regularly. Ordering and paying online was very easy and the service was so reliable that I will definitely order for future occasions. I am confident that they’ll arrive in good condition and on time. Very chuffed with this as it was exactly what I’d pictured for my mum’s birthday present. They were delivered exactly when I asked and came so fresh and well presented.